2 Part 2: What Causes Delayed Puberty? There is nothing like anxiety to wait for your puberty to hit as a young child. As everyone around you starts having their own developments, such as a deeper voice or taller heights, some wonders when theirs’ will eventually start. Peer pressure could often become a problem while others might just want to grow that sweet mustache. Whatever the case, hitting puberty faster is usually difficult to achieve. All you can do is sit and wait for your turn, like everyone else. How to hit puberty faster (male)? Although there are some exceptions, the short answer is you can’t accelerate it, but you could minimize its delay, which we will discuss in this article. According to TeensHealth, there is absolutely nothing teenagers can do to speed up your puberty. It occurs naturally for girls starting at the age of ten to eleven, while for boys the range is larger, between nine and fifteen. In general, female starts their puberty earlier. Puberty is a long arduous process, spanning several years and include various development stages. For the females, the first stage is the development of pubic hair and breasts, followed by the dreaded menstrual cycle which could take two or three years after the breast stage. In addition, the growth spurt will hit as well, gaining weight around the thighs and hips. 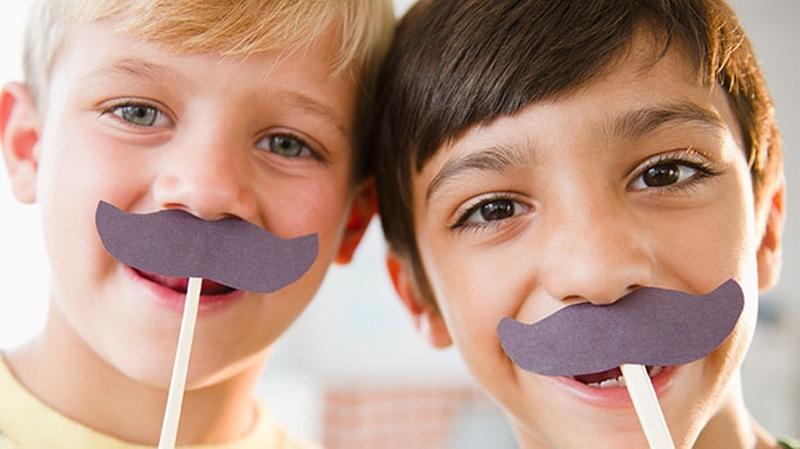 For the males, puberty starts with facial hair as well as the pubic area, then the growth spurt. During this period, their voice will usually crack or depends on, muscles will look more prominent, along with the growth of the sexual parts. If the teens of this age range have not hit their puberty, then it simply means they are late bloomers. This condition is hereditary, so ask your parents if any of them start late. If this isn’t the case, then we recommend a visit to your local GP to diagnose any symptoms that might lead to the delayed puberty, such as hormonal imbalances or chronic diseases. Part 2: What Causes Delayed Puberty? As stated in Part 1, delayed puberty is hereditary. Your parents' late bloomer genes is passed down to you and chances are, you have them as well. Ask your parents if they remembered, they probably could relate to you. Puberty for males start a little later than females, and the range for males is between 9 to 15. That’s a range of six years on average. Only if you are fifteen and aren’t showing the signs then you should call up your doctor. Puberty does not always give outward signs at the start. If you aren’t growing any taller, having a deeper voice or hair growing out everywhere, it might not mean you aren’t in your puberty yet. Puberty starts with the testicles growing bigger. Testosterone is necessary for the development, which coincidently is produced by the testicles. So yes, you might have hit puberty but, just long enough yet for the more obvious signs to show up. But relax, if you think you are lagging behind in heights, you will catch up to them. You will, in fact, be as tall as or taller than your family eventually. If you do start late, it will just mean that by the time your friends stopped growing, you will still be going. Healthy body weight: Obesity or being overweight can cause a delay in puberty. Make sure that a healthy body weight is maintained. A body with proper shape will hit puberty as normal. Hormone treatments: Testosterone injection could help to kick start puberty for males. This is only given under recommendation of a specialist. The hormone injections might sometimes be necessary to boys with overly delayed puberty. The course will usually comprise monthly testosterone injections for a few months, with doses varying for every patient. Time: Patience is a virtue. All you need to do to overcome delayed puberty is, in fact, to simply wait for it to come. Panicking is natural for teenagers as all their friends all start experiencing puberty while they aren’t. Consider visiting the pediatric endocrinologist if puberty has not hit you for eighteen to twenty months after others had.